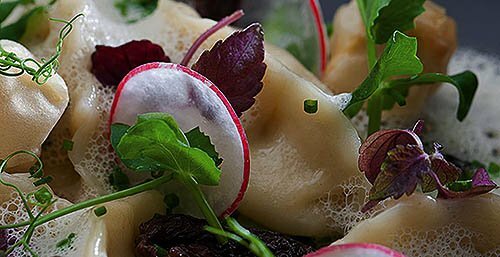 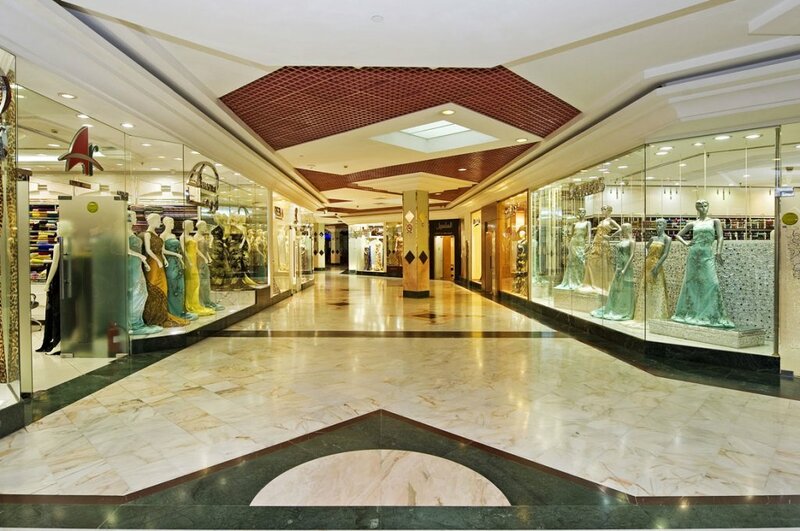 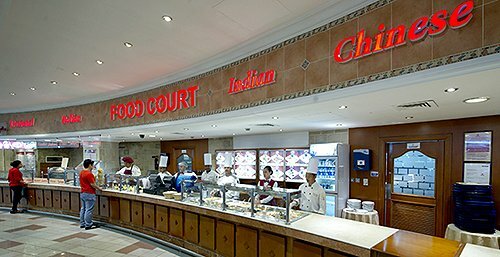 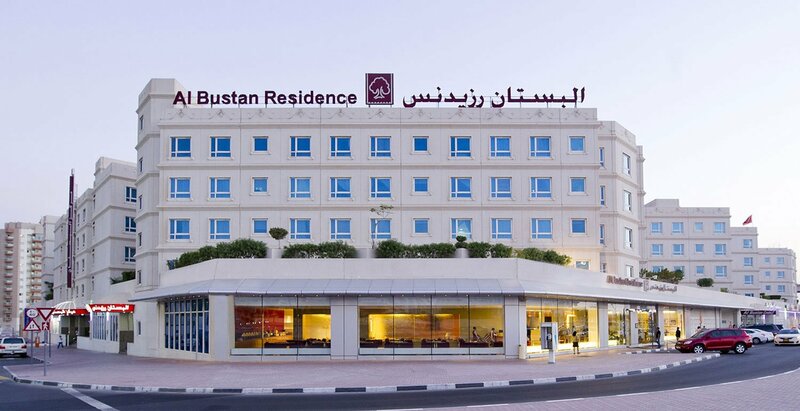 Established in 1997, Al Bustan Centre and Residence has closely witnessed the rise of Dubai as a hub for tourists, and alongside played an eminent role in catering to its guests. 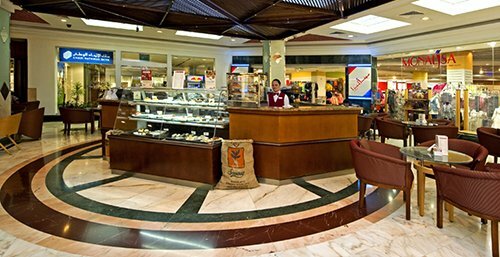 It emerged as a favorite destination for tourists, especially the ones on business and carved a name for itself in the MICE Industry. 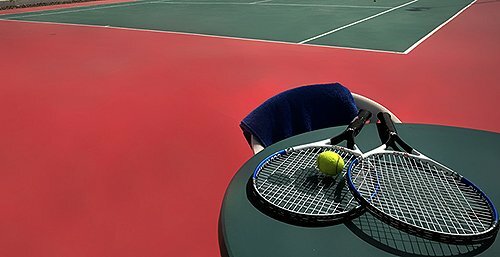 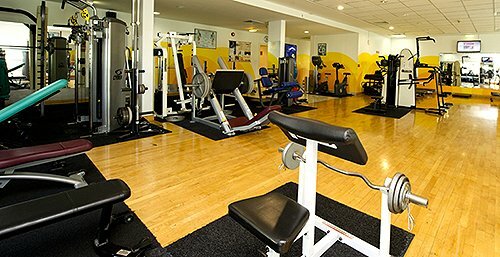 The property earned its great reputation from its loyal customers and good market segments. 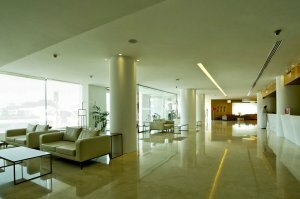 The reason behind its success is its drive to stay up to date with time and the changing trends of its guests. 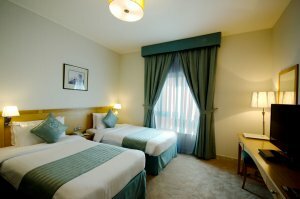 Business guests and vacationing tourists are delighted to stay in our beautifully renovated guest rooms, all featuring contemporary design with moern amenities needed to make their stay in Dbuai truly memorable. 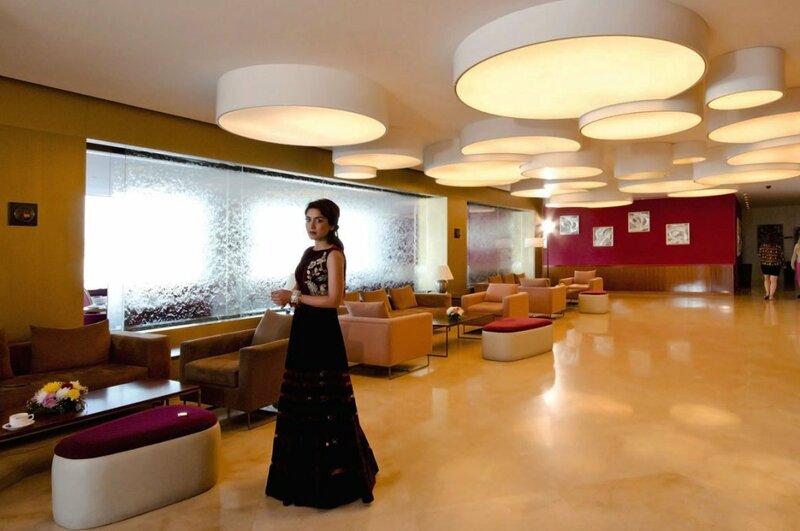 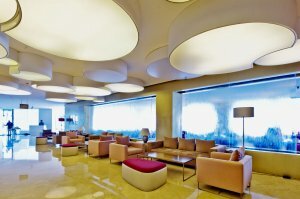 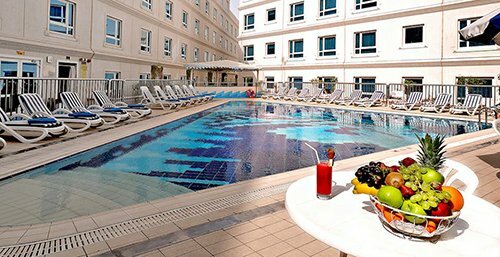 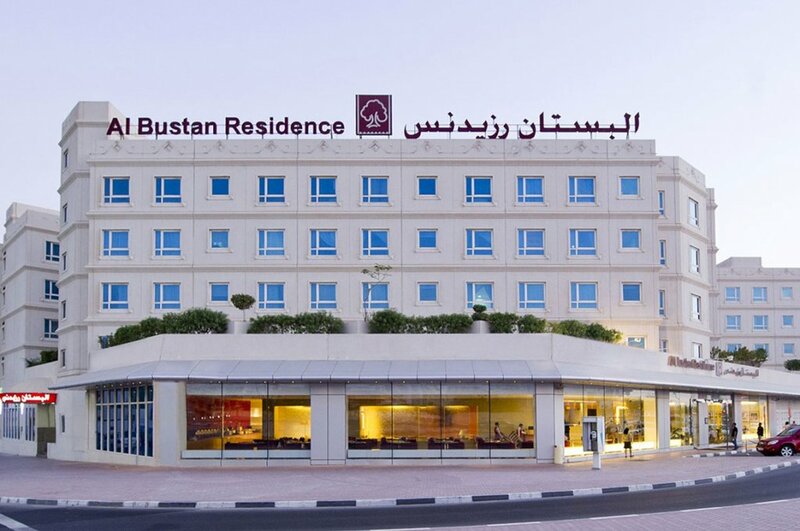 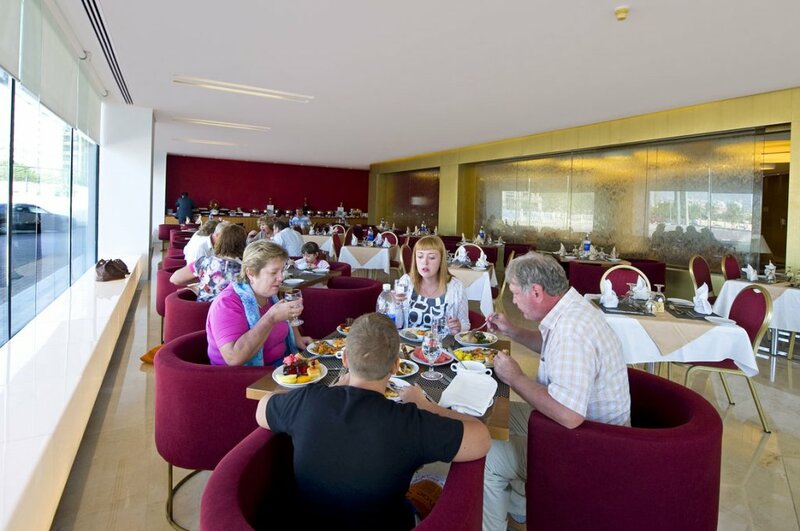 Al Bustan centre and Residence offers 640 rooms and suites to its business and leisure guests. 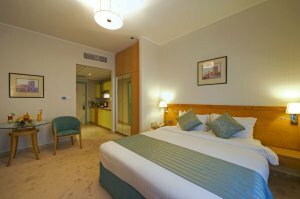 The rooms are spacious, stuidos cover 30sq meters, one-bedroom is spread over 60 sq meters, and two-bedroom over 90 sq meters. 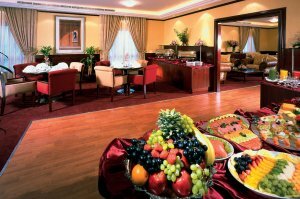 Every room is equipped with a kitchenette, basi cappliances like a cooker, toaster and refrigerator, dining and living space. 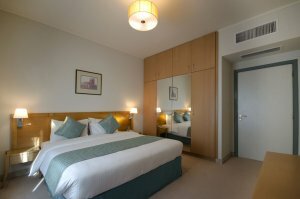 A family of four can comfortably stay in a two-bedroom apartment and enjoy their time together. 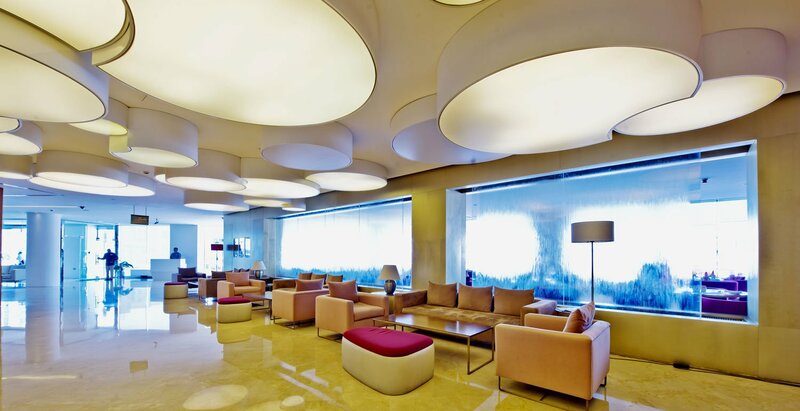 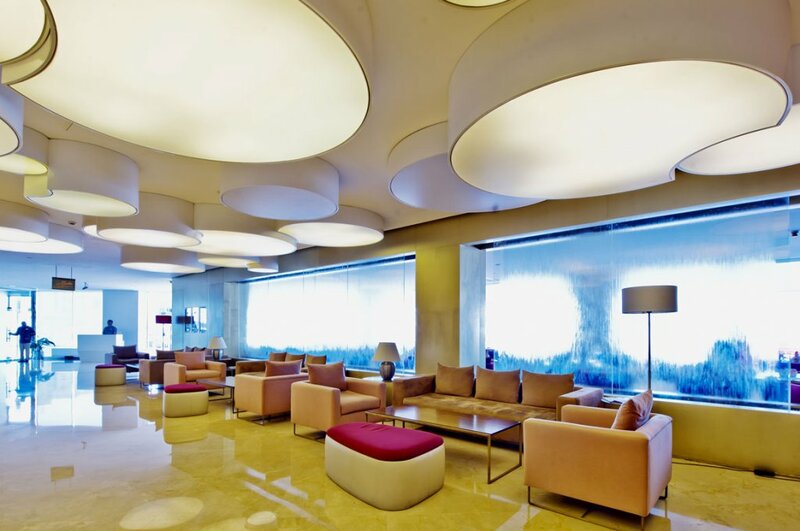 Business travellers can attend to their guests at ease in the living area. 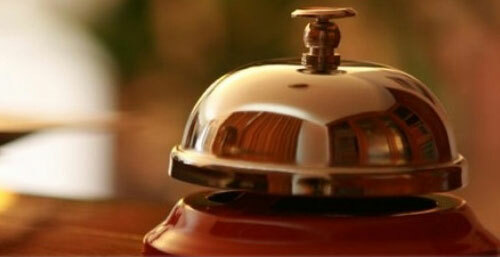 We also offer a free Laundromat service to our guests. 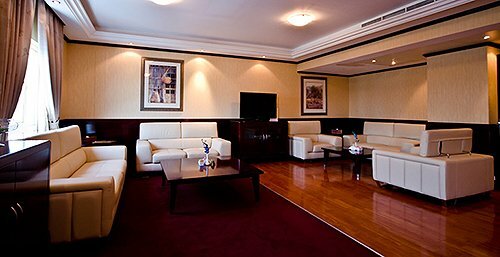 All our rooms are furnished with modern guest amenities such as a 39-inch flat screen LED television and high speed Wi-Fi internet access in all the room and public areas. 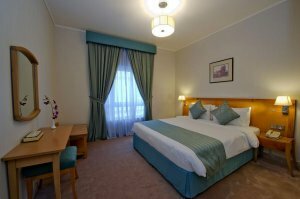 The beds are topped with down comforters, custom duvets, cotton-rich linen and plentry of fluffy pillows for a great night's sleep and total relaxation. 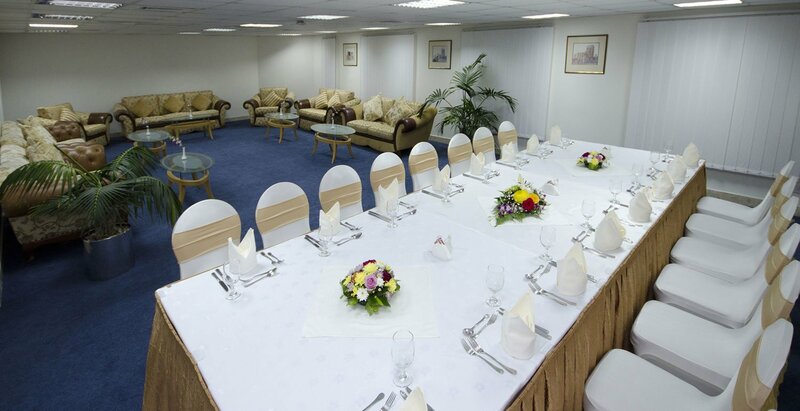 Beautifully designed carpets and curtains and chic furniture were added for style and luxury including upgraded facilities in the kitchenette. 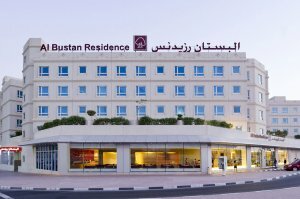 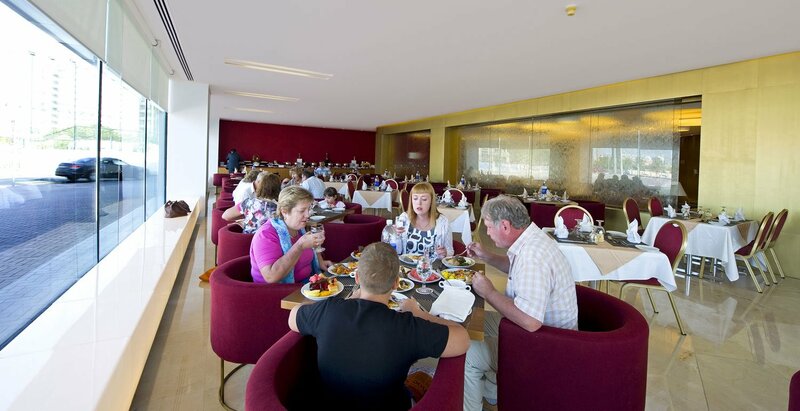 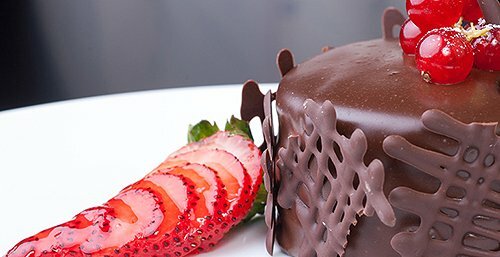 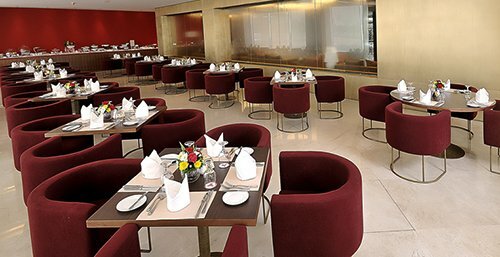 Al bustan Centre & Residence has always presented a luxurious setting for its guests on account of its spacious lobby, meeting rooms and business centre, amazing dining options at the Fountain Cafe & Rstaurant, Food Court, and large number of retail outlets. 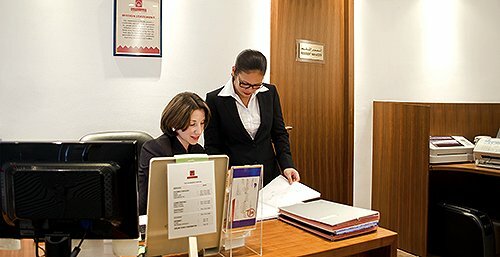 We keep ourselves up-to-date with the latest innovation in the market. 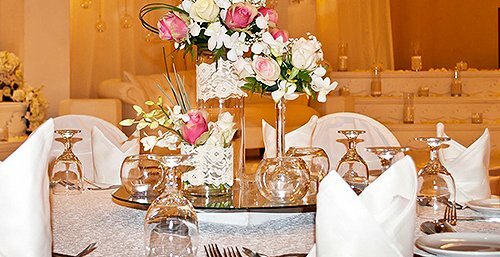 We have to keep at pace with the heightened guest expectations, and change as per the market trend offering superior queality products to all our guests. 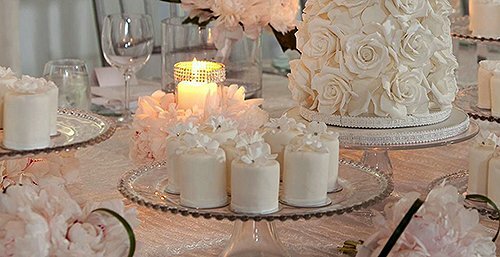 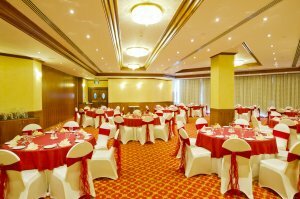 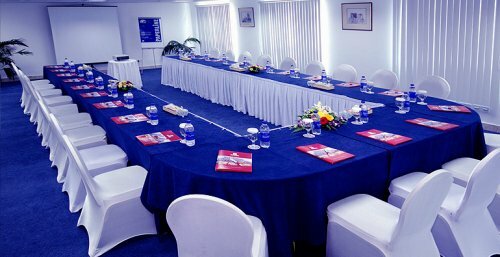 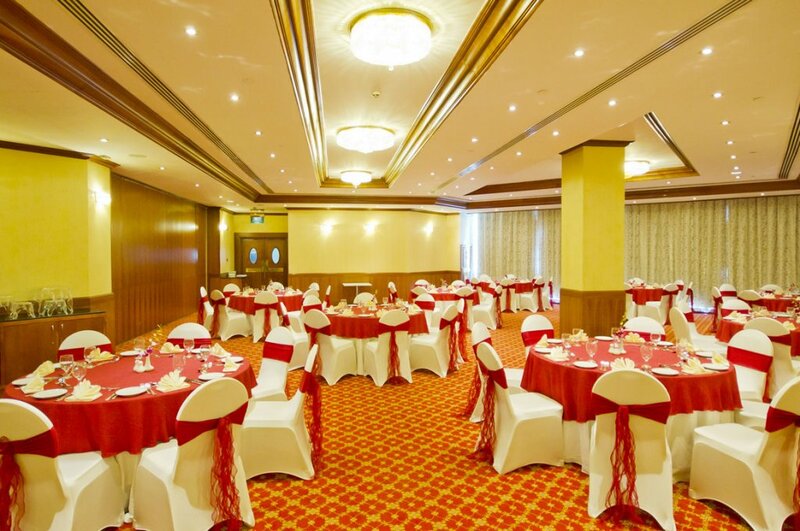 Al Nahda Banquet Halls are an exceptional setting for Wedding venues, Receptions, Private Parties, and Business Events. 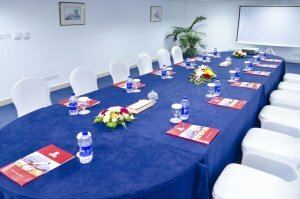 All our Meeting rooms are equipped with cutting-edge audio visual and IT systems and our dedicated associates are always on hand to assist with any requests. 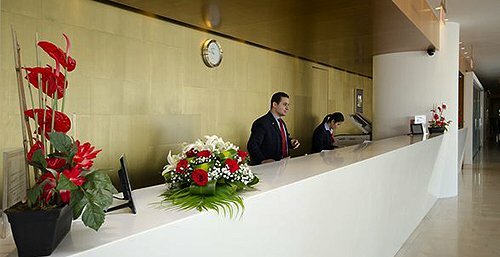 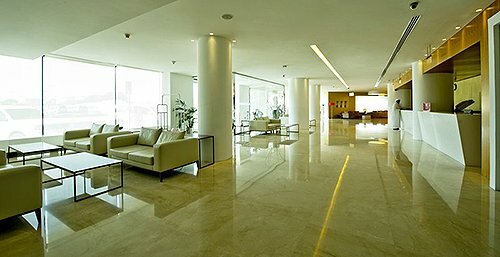 The Business Centre at Al Bustan Centre & Residence is located on the Ground Floor at the Lobby Level. 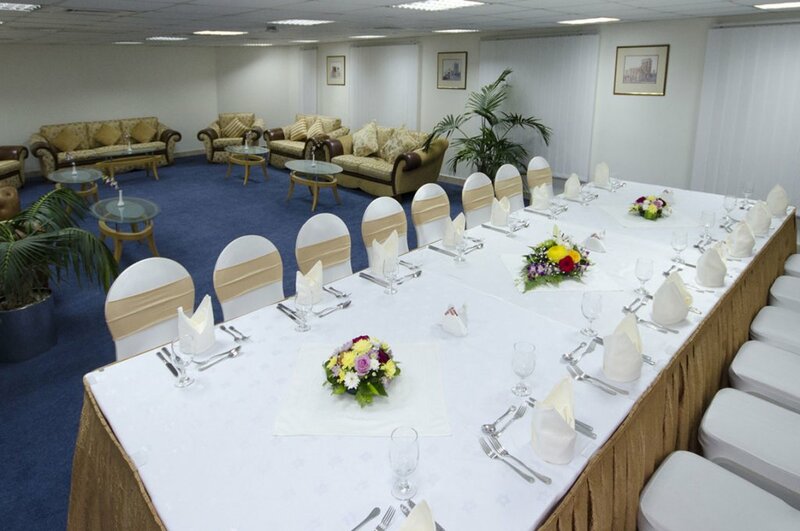 The Business Centre caters to secretarial, technological and business support.